Printed on Heavyweight Waterproof vinyl Material with vibrant color inks. Easy to hang and display at your party. Banners come with grommets on all 4 corners. Pam is amazing! 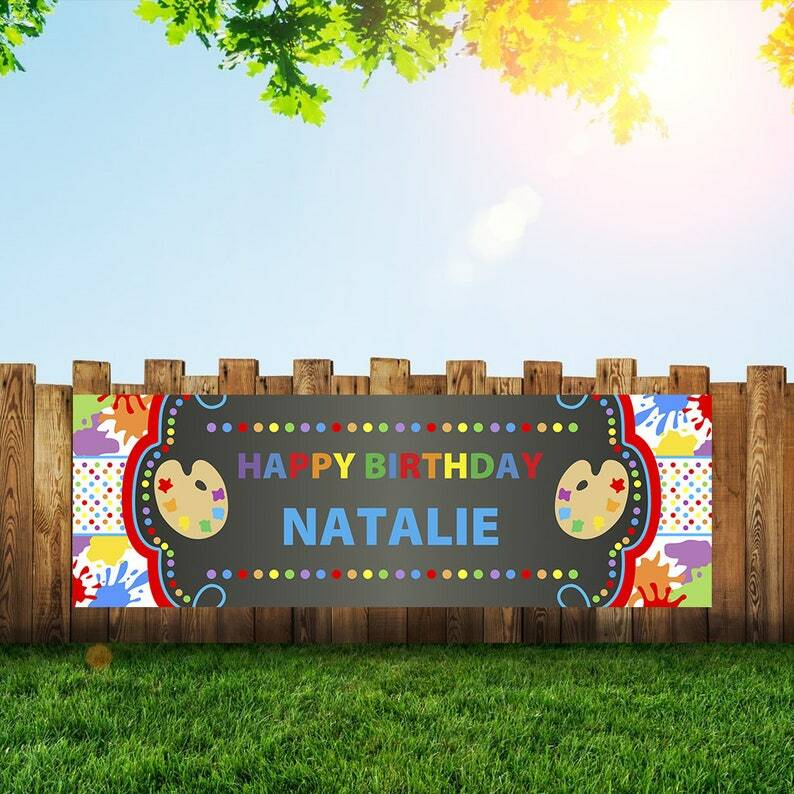 !We ordered a Nerf birthday banner in December for our grandson's birthday. Delivery time was perfect. The banner was amazing! Everyone loved it! Our second grandson wanted a Fortnite banner. I couldn't find one anywhere. I decided last minute to email Pam. She sent me a picture of one she had. Response to emails are near immediate. We received the banner yesterday and I can't wait for the party on Saturday. I know he will love it and the party will be a huge success! I give an A+++ to this company. Quality materials. They really care about their customers! Thank you Pam! The banner came out amazing. The company did a fantastic job. I would highly recommend this to my family and friends. The owners are very professional and understanding. Believe me they are very reliable, when it comes to your item.